Tea, juice, energy drink, flavored coffee, flavored water, and soft drink manufacturers throughout the US turn to the experts at Tropical Bottling Company for all of their ready-to-drink (RTD) beverage production needs. We are the company more beverage manufacturers rely on to produce safe, great-tasting products quickly and efficiently, and we can help can, copack, and prepare your products for store shelves. Whether you are seasoned soft drink manufacturers or a new flavored water start-up, we can help build your brand and your business with our broad range of copacking services. We help start-up businesses get their foot into the beverage industry with our best-in-class production and process recommendations, in-house labeling services, and trial run program, which helps new beverage manufacturers keep costs down while they test new products in the market. Tropical Bottling Company is also renowned for our safety practices and high-quality control standards. We use outside quality assurance laboratories for product testing and always have a quality control manager on-site to oversee production. In addition, we hold numerous certifications are an HACCP and SQF Level II certified facility. 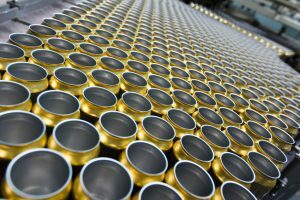 We are proud to work with tea, energy drink, sparkling juice, nectar and soft drink manufacturers in Florida, Georgia, South Carolina, North Carolina, Tennessee, and beyond, so contact us today to discuss your next RTD beverage product or request quotes on producing products already in production.